In what can only be described as a riveting opening to E3 2009, Microsoft opened with the Beatles and still managed to save the best for last. 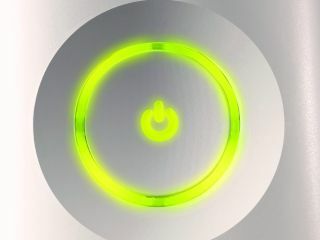 The Microsoft Xbox 360 keynote has the enviable curtain raiser slot at E3, but it more than justified its place with a conference that brought cheers, applause and a host of shocked looks from its audience. Natal: In at number one with a bullet was Microsoft's Steve Jobs-esque 'and finally'. Project Natal actually managed to shock a fairly cynical public with its promise of controller free gaming. The 3D mo-cap sensor allows you to play games without the worry of learning the buttons – with movement, and voice, being translated to the screen. The showcased things this could bring were staggering; Lionhead's Peter Molyneux introduced us to a virtual friend called Milo that reacted to emotions on the user's face, gave and received objects that were scanned into the console in real time and interacted in a, frankly, stunning way. And this was just a fraction of what Natal could do; Kung fu fighting, monster stomping, skateboarding, social networking and, simply, gesture control were all shown. Whisper it, but Project Natal could be bigger than the Wii. Twitter and Facebook: So we like Facebook, we love Twitter – but when you roll out the delectable ubergeek Felicia Day to showcase them working on the Xbox then you get an instant boost in the popularity stakes. Of course, the key thing will be how the social apps are integrated into an already buoyant Xbox Live community, but stage one, getting the applications onto the platform, is set to be completed by Autumn. 1080p on-demand VOD: Okay so we're all wondering just how you provide streaming 1080p over broadband connections of less than about 8Mb, but if Microsoft can hurdle that wall then this could be a massive boon for the console. Alan Wake: Certainly a highlight of the conference- if only because Alan Wake was shaping up to be the biggest vapourware since Duke Nukem's return. Wake – a mystery thriller – looked fantastic, with the playable demonstration showing the author/hero using light (and a shotgun) to wend his way through an atmospheric stage of the game. However, we'll reserve judgement until the game finally gets a release; the latest date is Spring 2010. Left4Dead 2: It was only the briefest of glimpses – giving us a trailer rather than the fuller demos that other titles got, but the prospect of L4D2 is enough to leave us salivating. Valve have a habit of making a splash at E3 and, although we're a teeny disappointed that there wasn't a Half Life 2: Episode 3 showcase (yet), we'll manage just fine with zombies and chainsaws, thank you very much. Forza Motorsport 3: Racing games are set for a big year, and Forza 2's success has fed into a successor that was given a huge showcase in the Xbox 360 conference. Forza 3 will bring 400 cars and the landscapes could be the prettiest ever seen. Not that you'll be able to concentrate on them, with the design your own car stuff also given a massive push. Beatles Rock Band: When Yoko appeared we feared the worst, but Lord Macca and Ringo also took to the stage to take a look at their 'avataristic' alter-egos in the game as the most famous band's hits arrived in gaming.